Stress, lack of sleep and change of routine can really overwhelm your pup during the holiday season. 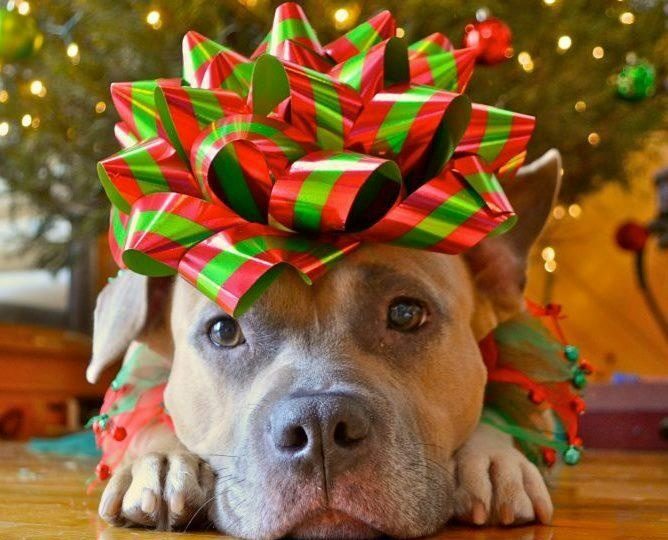 Watch out for signs of a stressed-out pup and learn some tips to reduce any holiday upset. We all want our furry family to feel happy and comfortable during the holidays! Make time for your pup. Some extra snuggles will help you both de-stress! One final holiday note: Please be careful when giving a pet as a gift. Animals are a long-term commitment, and should only be given if someone is completely prepared for the responsibility. Most rescue shelters see a huge surge in surrenders after the holidays.